If you love Art Deco, then you will love discovering the Ladies of the era, proudly displayed inside and outside some of Melbourne's oldest buildings. 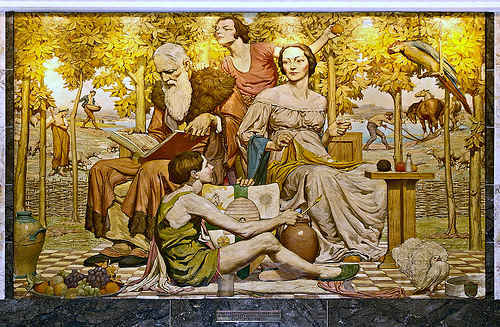 On the walls of the Myer Mural Hall in Melbourne, Australia you will fine magnificent art deco paintings done by the Art Deco artist, Napier Waller (1893-1972). These are the Mural Hall’s claim to fame. The murals took a little over a year to complete and were painted at Napier Waller’s home, at Fairy Hills in Ivanhoe. They were then transported to the department store where they now stand, gloriously and proudly displayed. Completed in 1934, just after Sidney Myer’s death, eight of the murals are almost floor to ceiling. The remaining two are located over the two side entrances to the Hall. 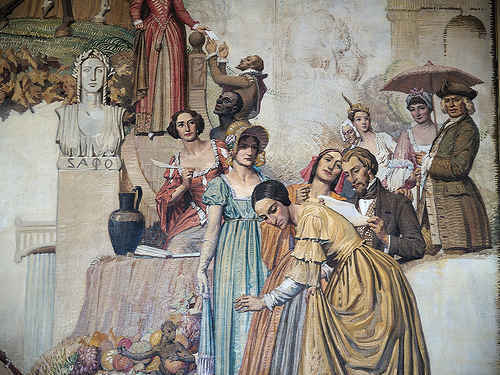 The murals honor the seasons and to women and their achievements through history in the areas of art, opera, literature, dance, sport and fashion. 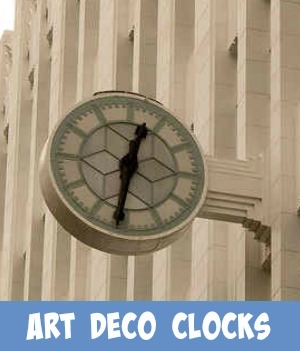 Where Can You Find Melbourne's Art Deco Ladies ? 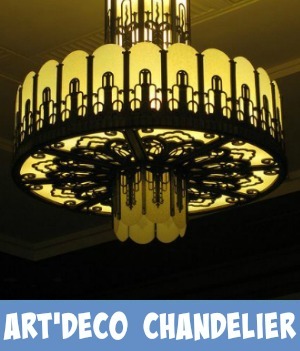 Click onto the map below to enlarge and follow the directions to your favorite art deco lady. Click through on each link, for more information on where the ladies can be found, what type of artwork you will find, who painted or sculpted the art deco artwork and when it was produced and exhibited. the smaller mural Modes of Transport by Land above the door. the smaller mural Modes of Transport by Sea above the door. 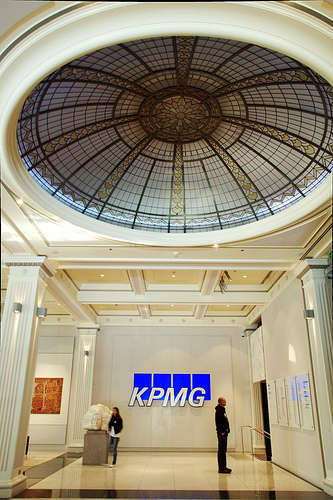 The old T&G building now houses the KPMG Banking Chamber as well as some informal and formal waiting rooms, meeting rooms, small theater and some ground level retail. Located oat the top of the Collins Street, this landmark was built by the Temperance and General Life Assurance Society. It was very popular with dentists, the T&G Building was fondly known as the Tooth & Gum building. The building was carefully renovated in 1990 by architects Metier3. 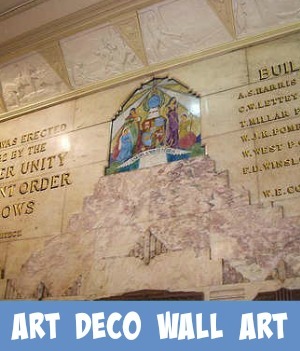 The Insurance Hall was demolished and then reconstructed, but the entry mural painted by the art deco artist, Napier Waller in 1928, was retained intact. The new atrium is a remarkable space, incorporating sculptural blocks with images of Melbourne landmarks. 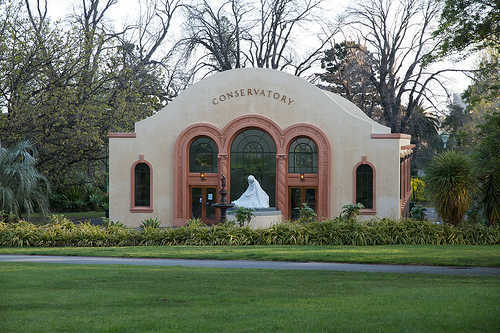 The Fitzroy Gardens located on the southeastern edge of the Melbourne Central Business District in East Melbourne, Victoria, Australia houses the incredibly beautiful Conservatory. 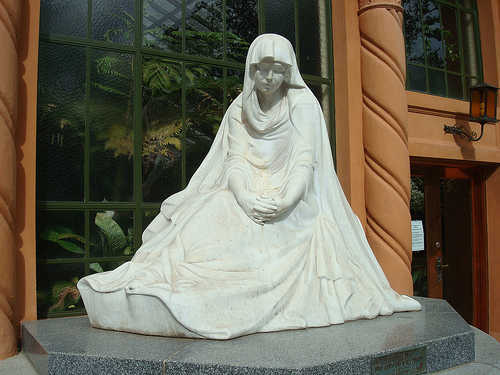 There is a massive statue of a draped at deco form sculptured in marble, outside the entrance to the Conservatory. The statue was presented to the Melbourne City Council in 1933. The sculptor was Robert Delandre, a Frenchman. 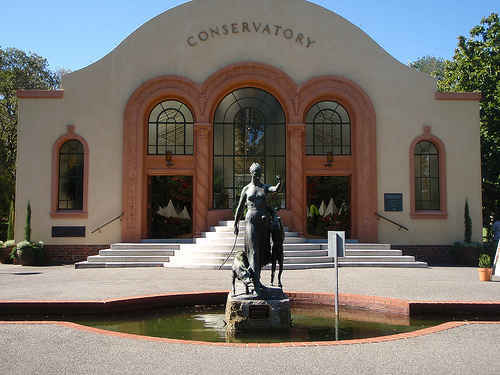 The statue of Diana and the Hounds erected outside the Conservatory in the Fitzroy Gardens, is the work of W. Leslie-Bowles. The mould was completed in 1939 however the actual placement was delayed because of the war. Finally Diana and her hounds found their place in the gardens in 1940. 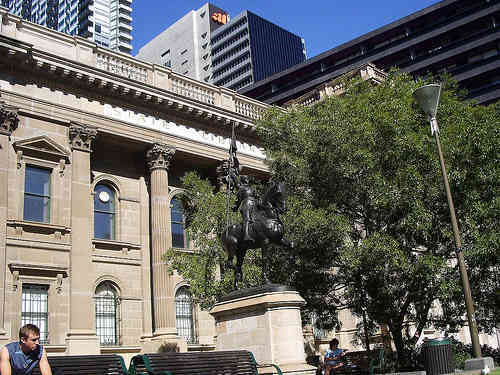 The statue replaced the old crumbling concrete and plaster statues of copies of ancient Roman and Greek sculpture first placed there in the 1860's. 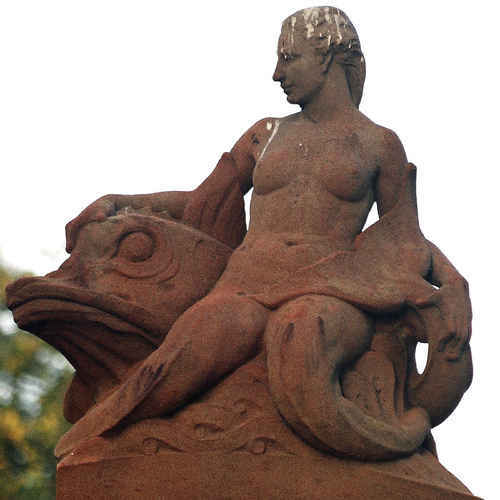 At the Hotham Street entrance to the Fitzroy Gardens you can find the statue of the Mermaid and the Fish. This is the work of William Leslie Bowles. He won first prize with these pieces in the Fitzroy Gardens Sculpture Competition held in 1935. This sculpture, together with the Boy and Pelican beside it, were constructed and sculpted in pyrmont stone. Quarrying of Pyrmont's sandstone began in 1853 when Charles Saunders leased land on the north-west side of the peninsula in Sydney, NSW. This was to become some of Sydney's finest sandstone and medium used for many of Australia's sculptured art works. This was installed in 1907.